I love top ten lists. They make life so easy! No need to slog through an entire pile of stuff, just check out 10. The recipes below are the top 10 recipes here on Snack Girl for 2012. They were chosen, not by me, but by you. How did you do it? I have a program that allows me to analyze how many visits any one page of mine receives over time. I looked back over the year and found the ones that were viewed the most. Pinterest started to be a big factor this year so I believe the recipes with better photos had an advantage over the ones with crappy photos. Oh well. Am I happy with this list? 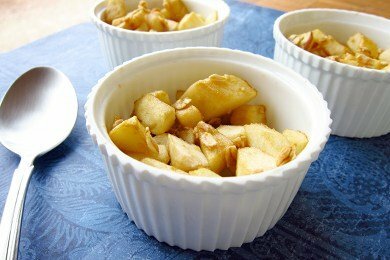 Well, it is a bit skewed to sweets - and BEETS did not make the list, but I am proud that (for example) over 25,000 people checked out my apple crisp recipe. If your favorite recipe isn’t here, go back and find it, pin it or share it on Facebook. It just needs a little push to get it to the front of the line. For those of you who use Pinterest, I made a board with the Top Ten Recipes here: Pinterest Top Ten Recipes Board so that they are all in one place. How were the roast chickpeas not number 1? They are like crack! They are *better* than a conventional snack. I love it all especially the portion control cookies!! I have no control what so ever when it comes to cookies!!! Great idea using ice cube trays! Love the fall no bake cookies. Makes these all the time. Easy and quick. I agree with istara! How are the roasted chickpeas not #1? I love them! Anytime I have chickpeas I do this. So great. I'm glad there's at least ONE or two savory things on there! The roasted chickpeas are probably the best thing I've come across. I love them so much!